Among the cats available are Samson and Riley. White Oriental Samson is about 4 years old and his black and white companion Riley is a little older at about 5 years old. They were surrendered to CPL because their owner was unable to continue with their care. Both cats are friendly but shy. They are a devoted couple who look to each other for confidence and will need to go to a new home together. 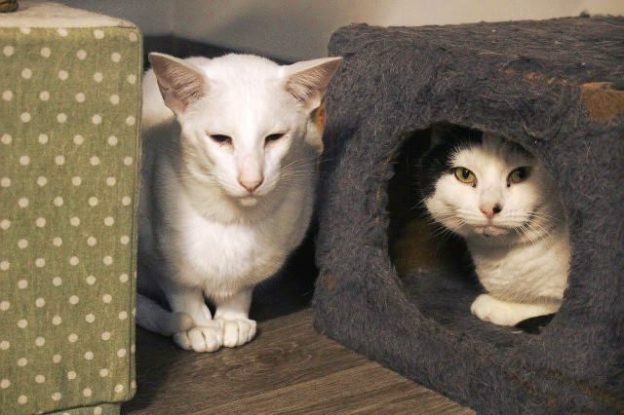 If their adoption does not work out, both cats will need to be returned to us, as separating them from each other will cause both cats to suffer.